One of the more interesting places to have an outdoor shoot in and around Ipoh would be this place. 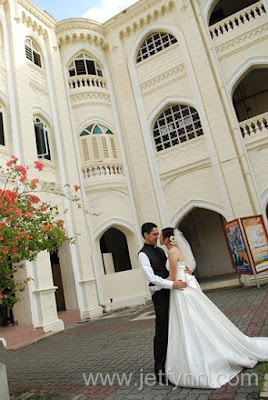 St. Michael's Institution, Ipoh. 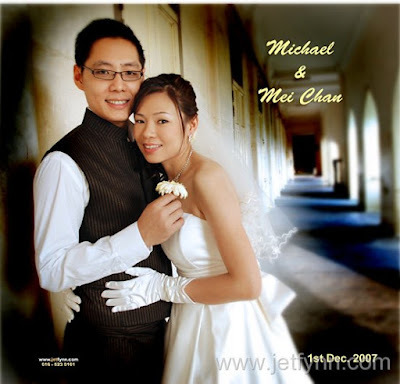 We the Ipoh, Perak Photographers had that opportunity when Michael and Mei Chan confirmed us for their actual day wedding. It was Michael who went to all the trouble to get the official permission to take their outdoor wedding photographs there. At first, the security personnel there refused to allow us in until the clearance was given. Then again, she would follow us everywhere as we were going around the school to take the various locations and angles. In order to get into this place however, needs a proper permission from the school. It helps if you are an ex-student there.